It was so beautiful this morning! Crisp air makes me giddy. I’m sure I’ll be annoyingly obnoxious the next few weeks until the weather settles in for good. Fall is my absolute favorite time of the year and I’ve been waiting for it to arrive since June. 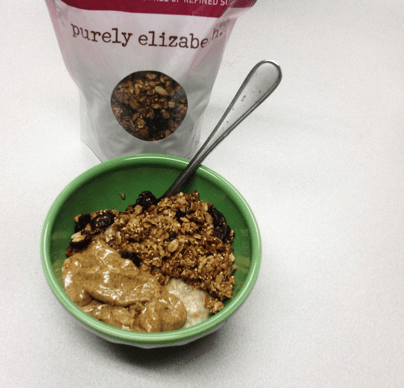 After a night of weird dreams, I woke up late but wasn’t about to miss a chance at oats. I’ve never been to Niagara Falls, but apparently I can walk across the darn thing while wearing a clown suit and smoking a pipe. Figure that one out. I’m about done with this week. This was the LONGEST day. Kids were great, but I felt like the headless chicken. I wasn’t really hungry today,either which is unusual for me. 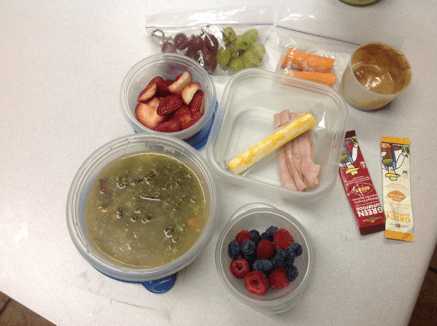 I packed enough food for the day but only had soup and fruit for lunch. But this is outstanding soup. Greens and beans with ham. I’m glad I have more of this because it’s a keeper. The secret to this is letting it simmer for a couple of hours so the kale is really tender. 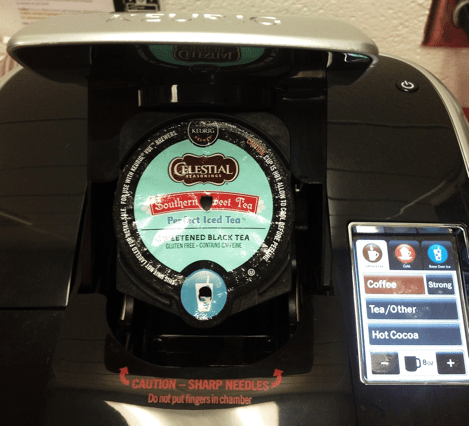 For an afternoon pick-me-up, I tried out the new Keurig in the teachers lounge. 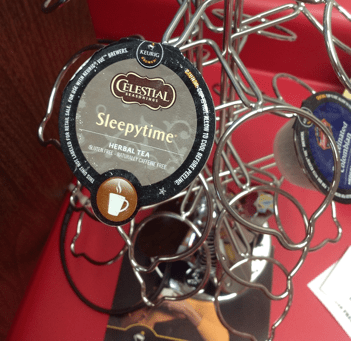 I chose the sweet tea and it was really good! I drank it over ice. But I have to wonder who has the sense of humor. This was my other option…at 3:00pm. I’m ready for a nap and some time with Glee tonight.